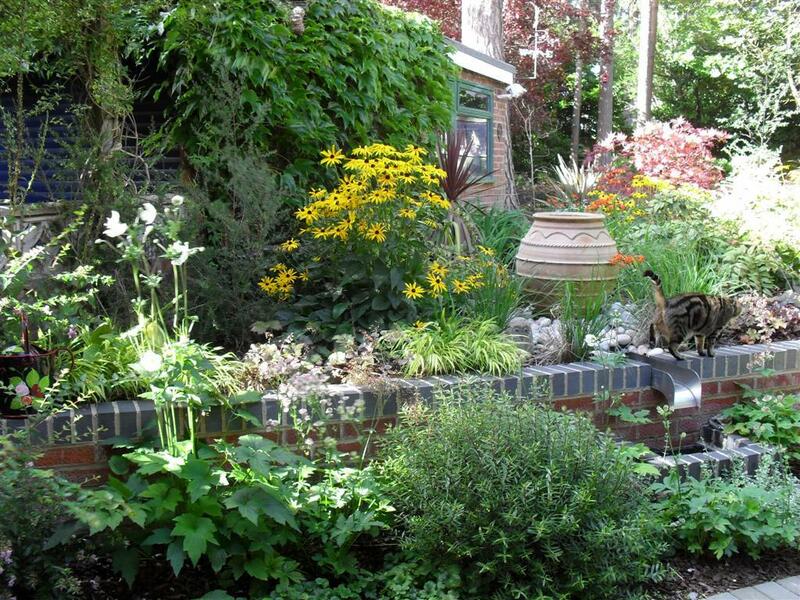 The brief was to create a garden that incorporated a dining area and water feature, had low maintenance planting and made use of the heavily wooded area at the rear of the garden. 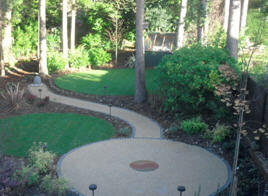 The design is based on a series of overlapping circles that had the effect of making the garden feel wider than it was. 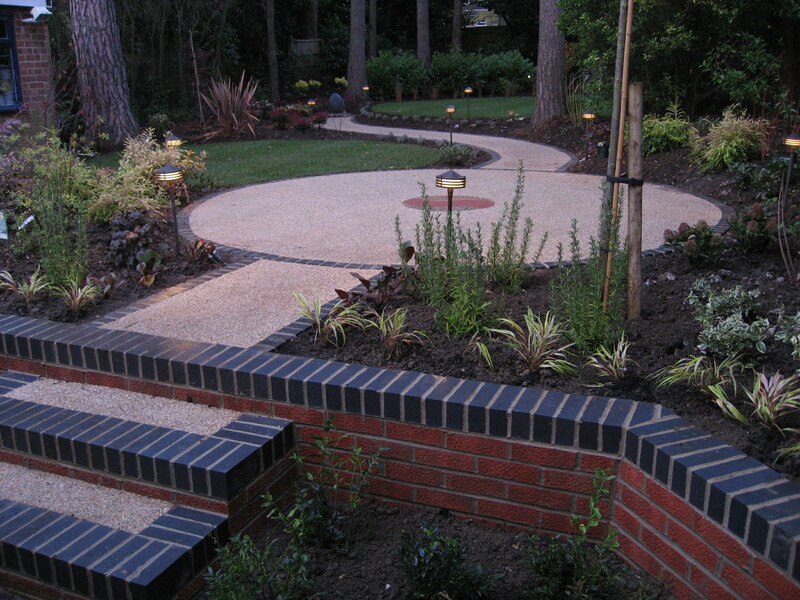 The hard landscaped areas were constructed from resin bound aggregate to avoid weeds in the paths. 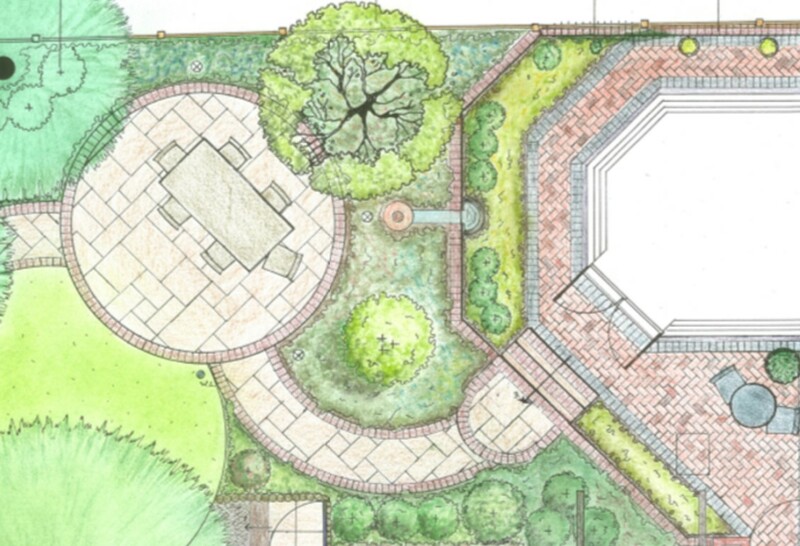 Two water features are in the garden as points of interest. The lower one has water cascading down the sides of a terracotta urn before being channelled into a rill before falling the lowest level of the garden. The wooded area was made into a quiet haven to sit and read amongst the trees and woodland plants – a favourite place of the Client. This area is screened from the house with shrubs to add privacy. 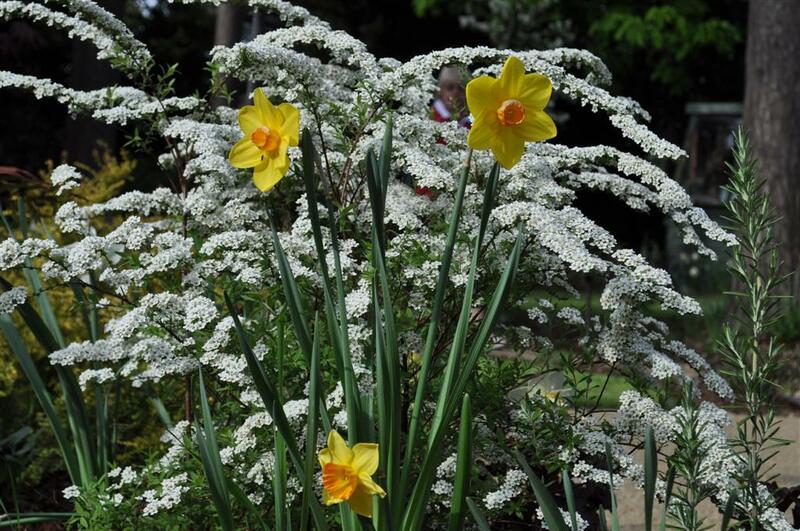 As this part of the garden had never been used before, the garden is a whole lot larger. The Client was delighted with the overall result. 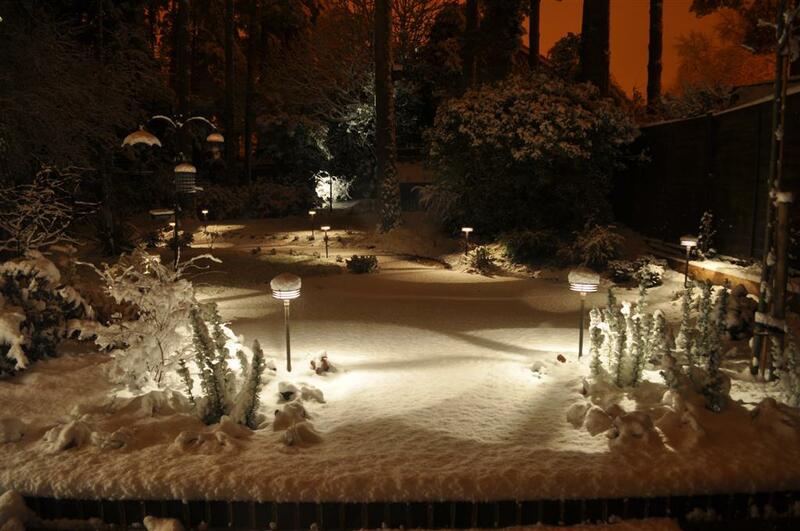 Lighting finished of the design making the garden come alive at night in all seasons, especially in the snow.